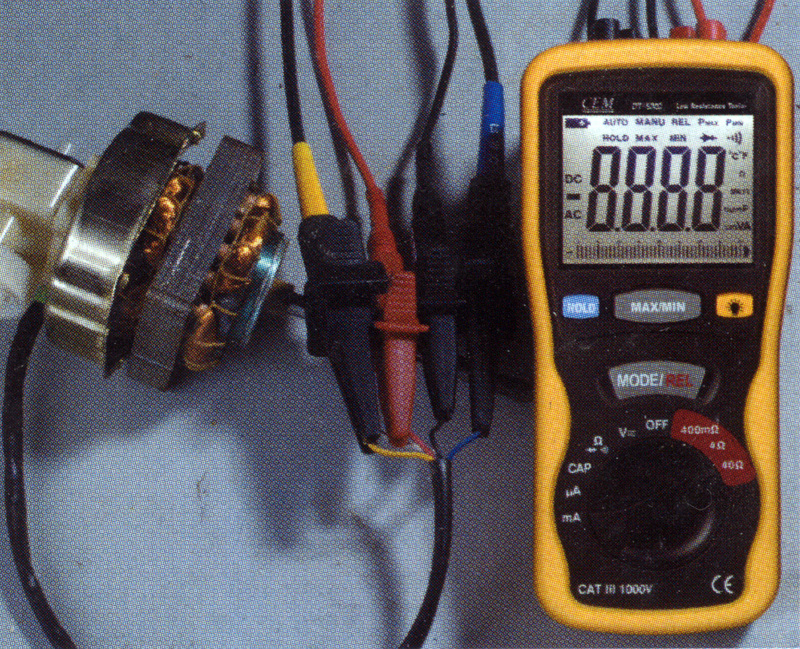 This is a brand new CEM DT-5302 certified digital multimeter with 4 probe wires and back-light LCD display. 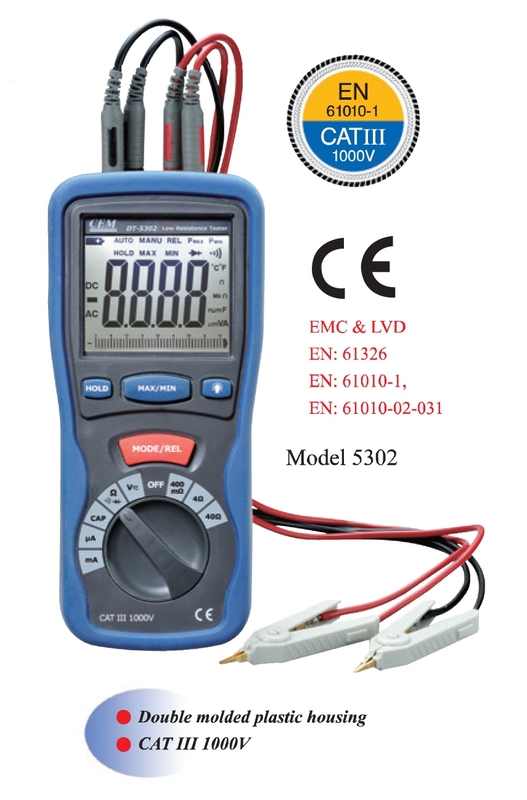 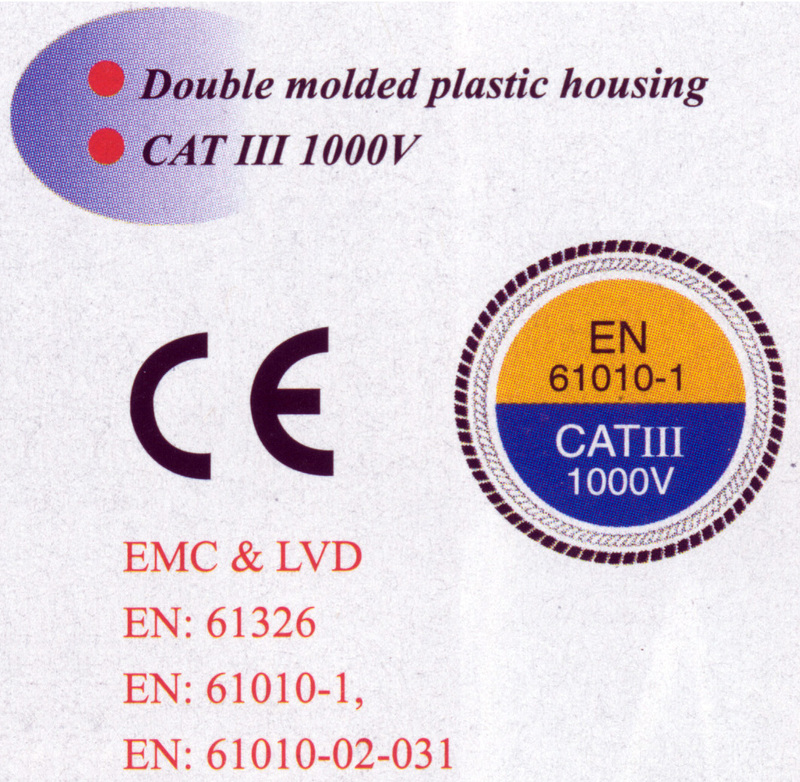 This top-of-the-line device not only measures voltage up to 1000V (DC and AC), it also measures current, capacitance and small resistance in great accuracy. 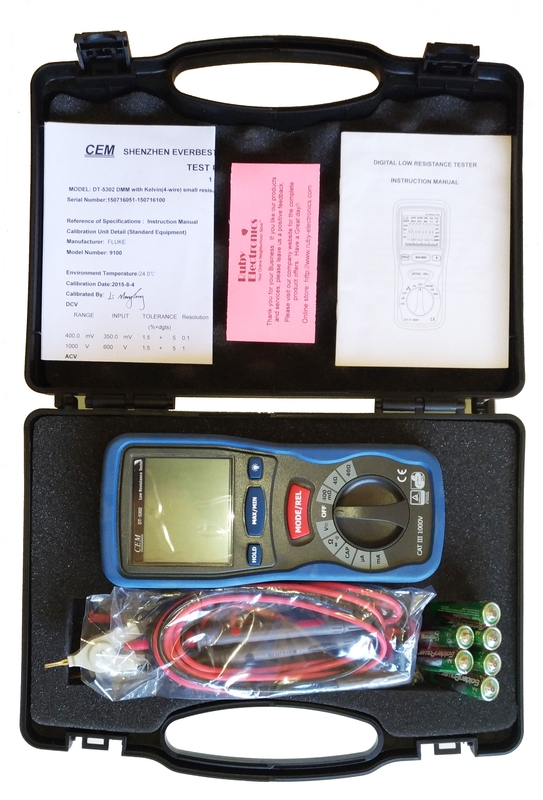 The 4-wire configuration allows the small resistance measurement range down to 400 milli-ohm at 0.1 milli-ohm resolution with up to 200mA test current. 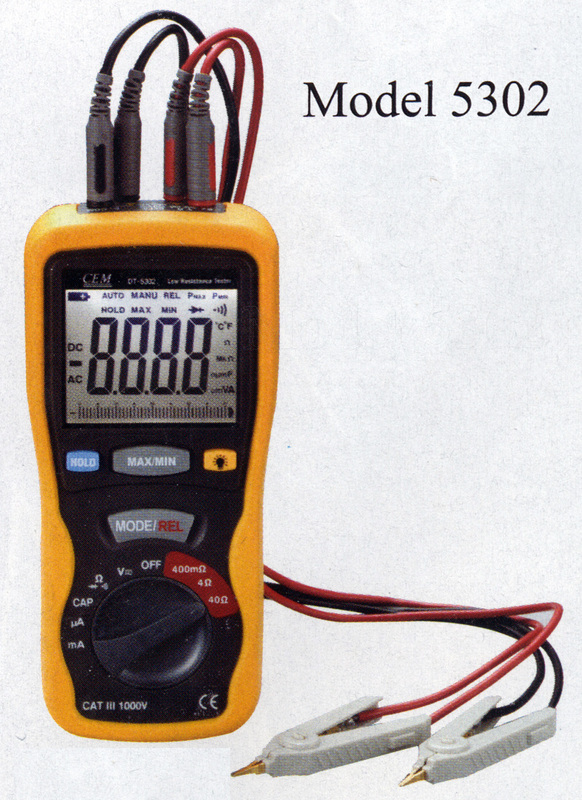 The back light 4000-count LCD screen allows you to read easily in the dark. 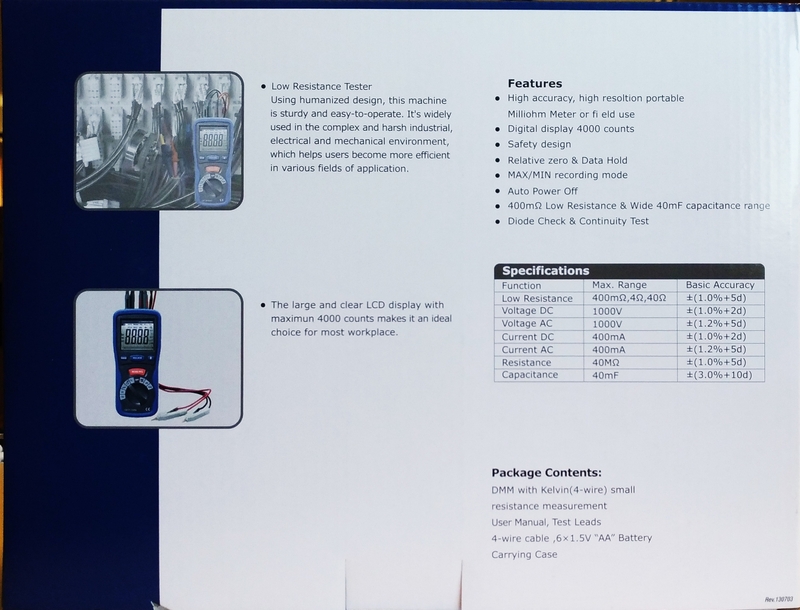 The meter also comes with a heavy duty carrying case to protect your device when working in the field.